Music is something that can hold a community together… an effective, strong, meaningful way of building and maintaining community. And if we don’t have community in our life, then we don’t have very much, do we? 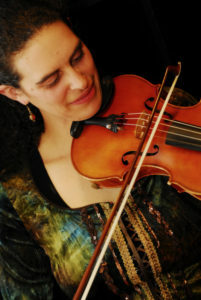 Laura Risk is a well-known and revered fiddle player and teacher in the Scottish music scene. Perhaps less well-known is her role as a musicologist and her extensive research on the traditional music of Quebec. In 2014 she was a key figure involved in documenting the music of Douglastown, in the Gaspé region of Quebec. Douglastown was representative of many small communities in Quebec, and elsewhere, where traditional music held the community together. Locals would get together to sing, dance, play and enjoy each other’s company. Often music would happen at house parties, in kitchens where all the chairs and tables would be taken outside to make room for people. Music has the ability to cross traditional social divisions, and in Douglastown, a mainly anglophone town with a small francophone population, people from both communities would come together over a shared musical repertoire. But as the local industries of fishing, lumber and mining declined, so too did the population and the music. 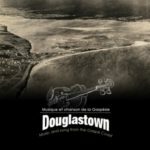 So Douglastown made a decision to record their rich musical heritage before it was lost forever, with the hope that this might even rekindle interest. Laura was happy to take some time to tell TradChat a little about the Douglastown project herself, despite the monumental effort of just completing her doctoral dissertation! I grew up in San Francisco. I started playing violin when I was 7 or 8, and I went to Alasdair Fraser’s Valley of the Moon Scottish Fiddling School when I was 13. I moved to Boston after I finished university (in applied math!) and played with a few different bands. I didn’t know much about traditional music in Quebec until I started visiting Montreal regularly in the late 1990s. I moved there in 2001 and have been hanging out at sessions and festivals and house parties ever since! In 2010 I performed at Douglastown’s annual Irish Week festival. The village has a very active community centre — the Douglas Community Centre — and in 2010 the Centre launched a project called “Irish Descent and Traditional Music.” The first part of the project was a series of oral history interviews with members of the extended Douglastown community. The second part was a CD of local music, using home recordings made by community members. The earliest of these recordings were made in the 1960s and include fiddlers who were born in the 1880s. Glenn Patterson was another key member of the project team. Glenn is a wonderful fiddler, originally from Ontario. He lived in Montreal for many years and became interested in the music of Douglastown around the same time that I did. In 2010, Glenn launched a blog about the life and music of Erskine Morris, one of Douglastown’s great fiddlers: http://gaspefiddle.blogspot.com.au. Glenn and I co-produced the “Douglastown” CD. We worked with audio engineer Denis Martin to digitize and catalogue about 70 hours of home recordings. Most of these were on reel-to-reels or cassette tapes. Then we worked with Luc Chaput and other community members to select tracks for the CD. The CD came out in 2014. We were very honoured to receive the 2014 “Prix Mnémo” for the CD.